Owl Prowls at Riverview Park give guests the tools to spot and identify local owl species. 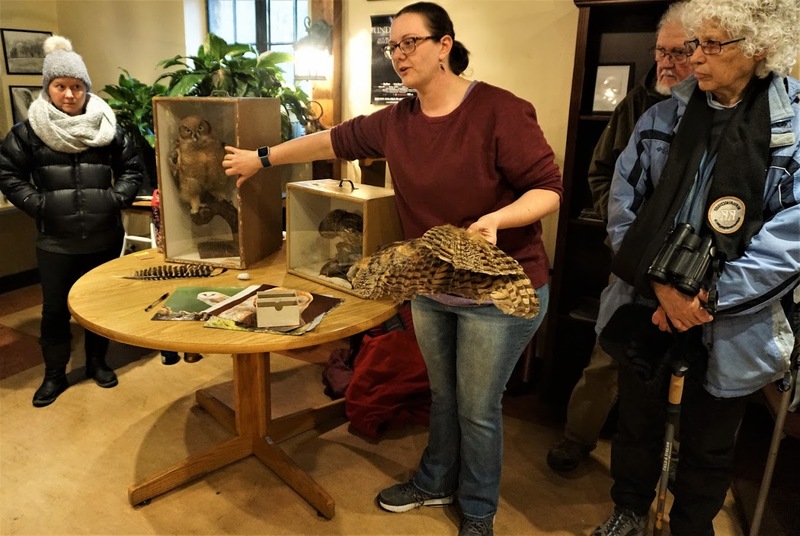 A crowd gathered at the Riverview Park Visitor’s Center on Saturday, March 16, to hear a presentation about local owl identification and hike two miles through the park, with various stops along the path to listen and watch for them. The Riverview Park Owl Prowl, organized by the Sierra Club and Pittsburgh Park Rangers, was a family friendly event that celebrated winter as the best time to look for the owls that reside in Riverview Park year round. For information on the next Riverview Park Owl Prowl, visit the Pittsburgh Parks Conservancy website.